Movie Review - 'The Tree of Life' - A Creation Trip Worth Taking Terrence Malick's film, part creation epic and part Oedipal family drama, recently won the Palme d'Or — the top prize at the Cannes Film Festival. Critic David Edelstein says reaction to the film has been mixed, but he "recommends the experience unreservedly." 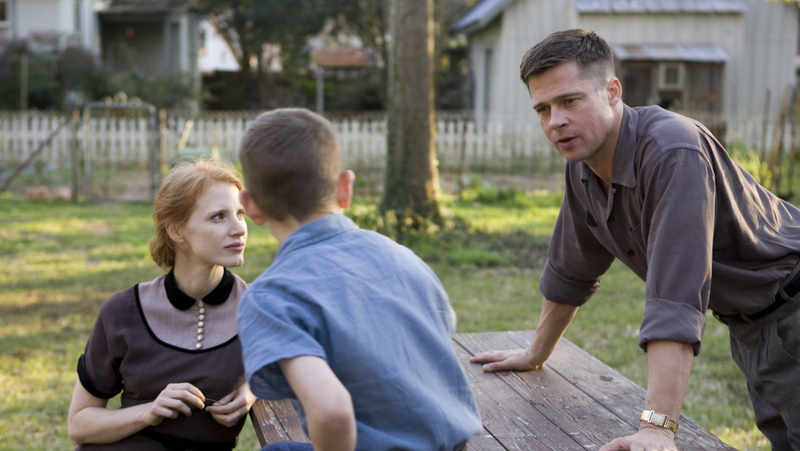 Part creation epic and part family drama, The Tree of Life stars Jessica Chastain and Brad Pitt as the parents of three boys in the '50s. Critic David Edelstein says Terrence Malick's film is self-indulgent — but that some selves are better indulged than others. The Tree of Life is Terrence Malick's big one — part creation epic, part Oedipal family drama, an answer to Kubrick's 2001 and maybe Paradise Lost. Malick's films all touch on Eden, the natural world into which humans are born, and the Fall, marked by male aggression as well as the soulless aspects of civilization. This picture has a suggestion of a narrative, but it's mostly a montage on his pet themes. I think of it as a Transcendentalist church pageant in which characters whisper questions in voiceover to the Almighty — "Where were you when so-and-so died? ", and "How can I get close to you?" Malick uses all his resources to trace the connections between the fleeting and the infinite — and if that sounds highfalutin', you ain't heard nothing yet. The family is the O'Briens, who live in the '50s in Waco, Texas. Brad Pitt plays the stern patriarch, redheaded Jessica Chastain the diaphanous mother, the spirit of Grace. I'm not reading in: She ruminates on the "way of Grace" versus "the way of Nature," which makes things easier if you're writing a term paper. In the overture, Malick jumps all over in time. The mother gets a telegram saying one son has died, probably in a war, although it's not spelled out. There are shots of her three boys' idyllic childhood. Then Malick jumps ahead to one boy, Jack, middle-aged. He's played by Sean Penn, and seen in both a glass-and-steel metropolis and on a rocky beach representing his inner universe. Then comes nothing less than a mind-bending vision of the cosmos being formed and the beginning of life on earth — squiggly one-celled forms, jellyfish, dinosaurs. There's a shot of a fully dressed child swimming out of an underwater bedroom to the surface — a symbolic birth — into the Garden of Eden that is Waco. The protagonist is Penn's Jack as a boy, played well by Hunter McCracken with the perfect stuck-out ears for his father to grab. He adores his mom and wishes aloud for his dad to die — this because his dad is a disciplinarian with a thing for macho ritual. Cue the Biblical Fall. A neighbor drowns, another is burned, and Jack blows up a nest of bird's eggs. He asks God, "Why should I be good if You aren't?" It's tantalizing stuff, suggesting the psychosexual underpinnings of Malick's mythic visions. But then we go right to the exodus — the family relocates — as if Malick skipped pages in the prayer book to get to the final hymn. Laramie Eppler (right) plays one of Pitt's kids in the film, which recently won the Cannes Film Festival's Palme d'Or prize. I know Malick nuts who've said they were so moved by The Tree of Life they began to shake. Then there were two women at my screening who agreed it was a self-indulgent piece of you-know-what. It is self-indulgent, but some selves are better indulged than others, and even at his goofiest Malick's worth the effort. His vantage is an original combination of the archetypal and the impressionistic, the camera trailing after characters and hovering. 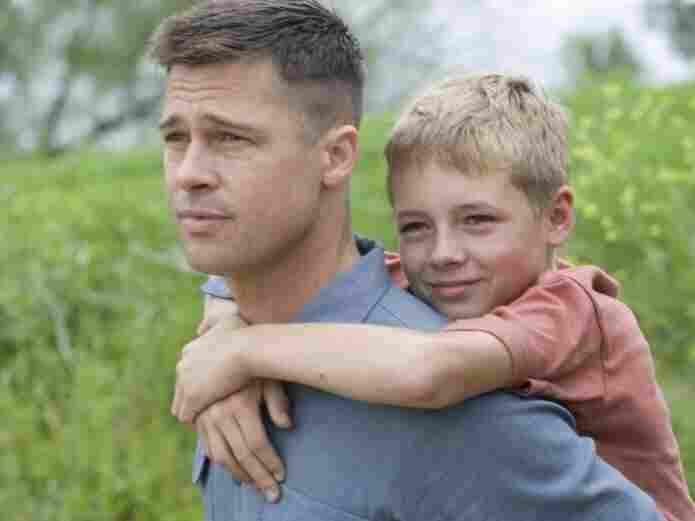 In an interview, Pitt put it well: Malick is "like a guy with a big butterfly net, waiting for a moment of truth to go by." And those disconnected moments are amazingly fluid. But Malick can be annoyingly abstract: No image is allowed to be non-archetypal, and the actors spend a lot of time tottering among trees looking bereft while the soundtrack serves up classical chestnuts. The Tree of Life is meant to portray the attempt of a man who has fallen from grace to make peace with a God he'll never understand. But what exactly did he do wrong? Penn's Jack looks suitably stricken, but the part is underwritten, and the final imaginary sequence is an embarrassment. Malick has everything but storytelling instincts. The Tree of Life doesn't jell, but I recommend the experience unreservedly. You might find it ridiculously sublime or sublimely ridiculous — or, like me, both. But it's a hell of a trip.